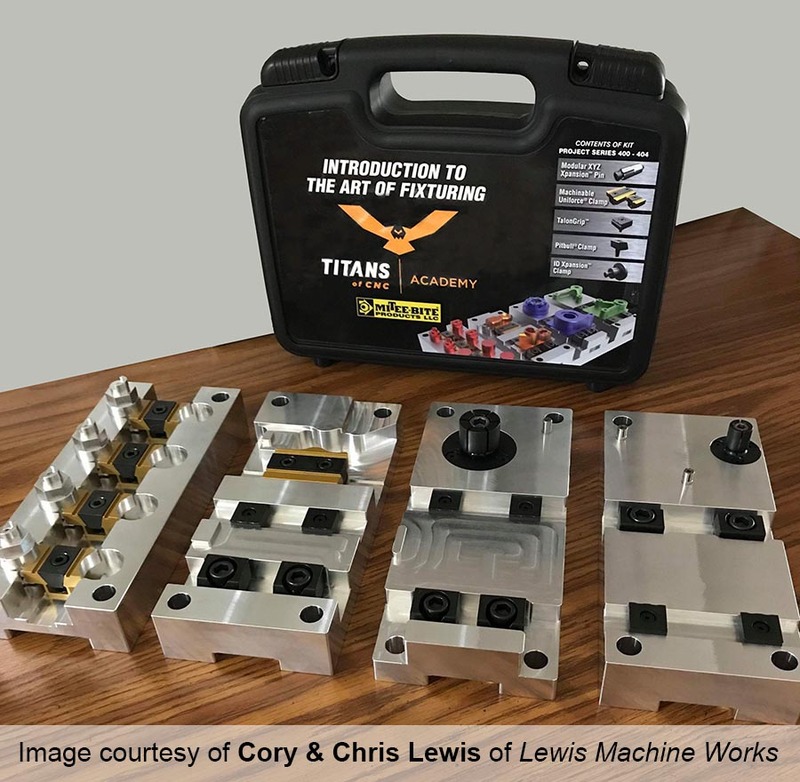 TITANS of CNC Academy Kit | Mitee-Bite Products LLC. 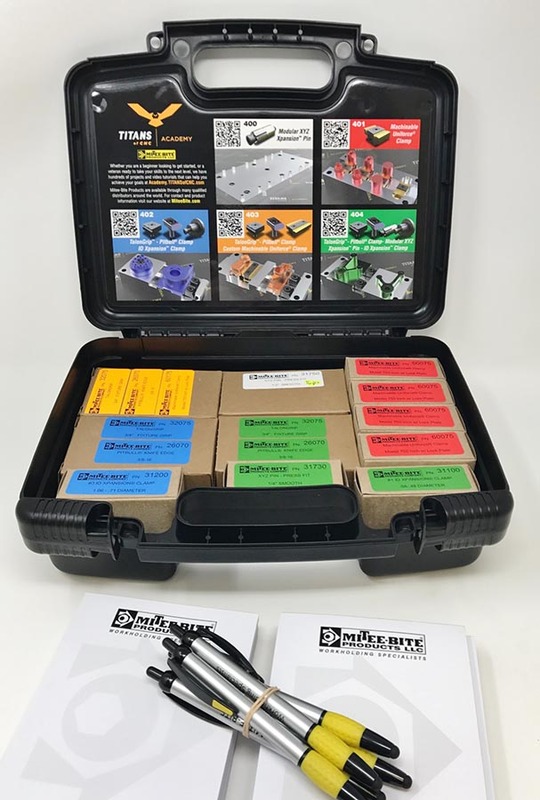 Mitee-Bite Products has just completed a new Kit for the TITANS of CNC Academy, helping to educate in the Art of Fixturing Series. In the kit students will receive multiple Mitee-Bite clamps, pins and grips to build Titan’s Project Series #400-404 fixtures. The TITANS of CNC television series (formerly TITAN American Built), first aired in 2014, featured episodes dedicated to showing CNC shops the best way to maximize their production with modern machining practices and is still airing on MAVTV today. Titan Ty Gilroy recently created a new and innovative platform, which is now accessible through the TITANS of CNC Academy website and provides free courses as well as the experience of thousands of talented machinists. Having great CNC instructors and open minded machinists teaching the next generation how creative fixturing can improve processes is a vision that already has a solid foundation and will lead shops to expand, hire more and at higher rates of pay. This Academy is the biggest free CNC manufacturing educational program ever developed with 1000s of projects, how-to and inspirational videos, and past episodes available on line. 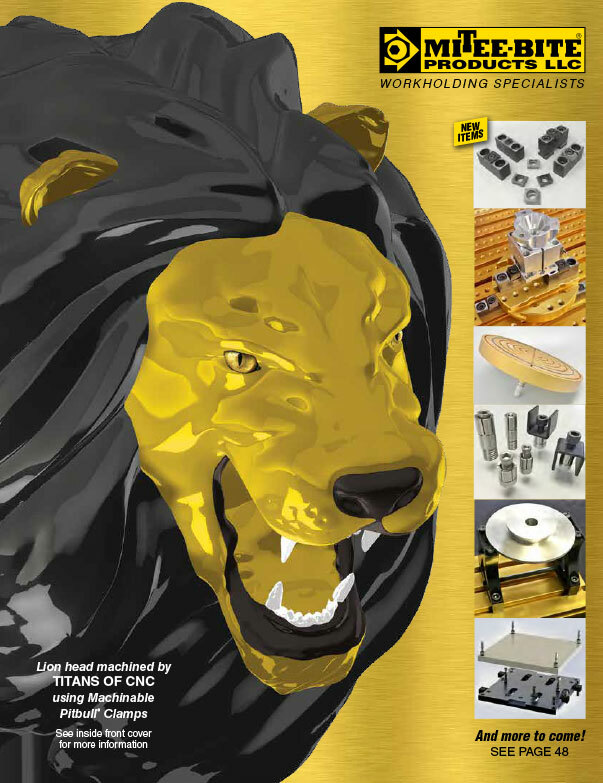 To learn more and sign up for the Free TITANS of CNC Academy, visit Academy.TITANSofCNC.com.